Flying can cause all kinds of stresses and worries. Flight delays, for example. 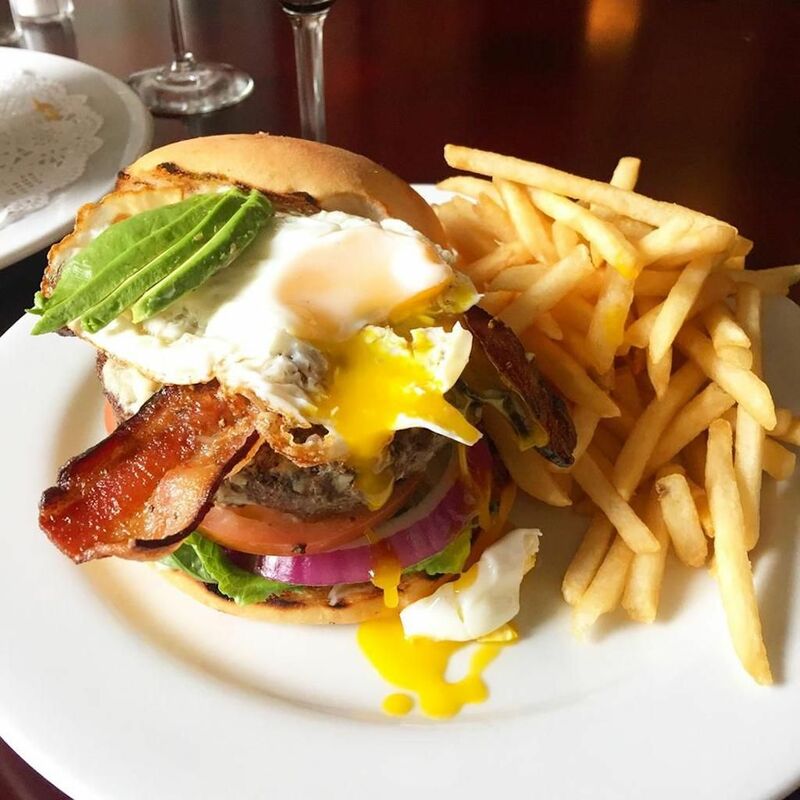 But eating is one thing you don’t need to worry about if you’re traveling through Los Angeles International Airport — especially if you’re hungry for burgers. 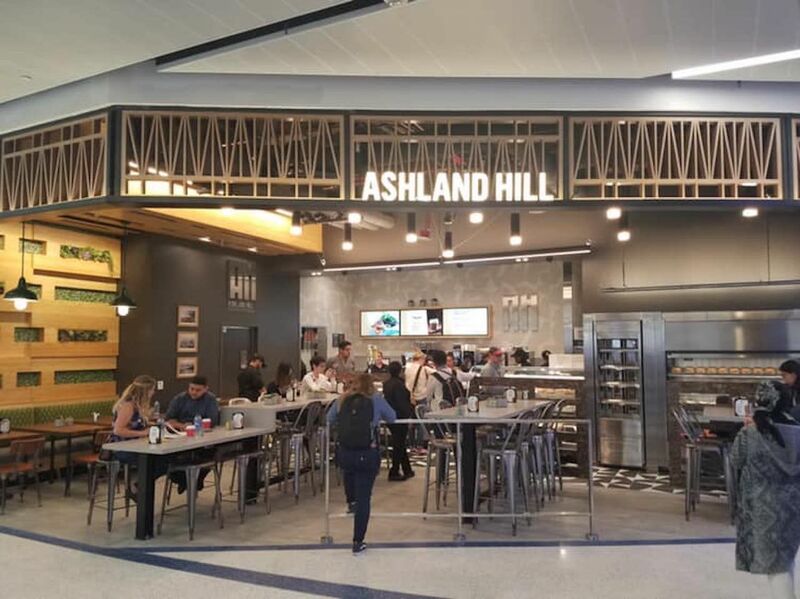 LAX is one of the airports around the US that’s bringing in local restaurants to improve the airport eating experience, and it’s easy to find a kickass airport meal here. It’s also open to you bringing marijuana on regional flights. With all that said, though, LAX is a giant airport and one of the busiest in the world. We’re here to help you narrow down your options. These are the best places to eat and drink in every terminal of LAX. 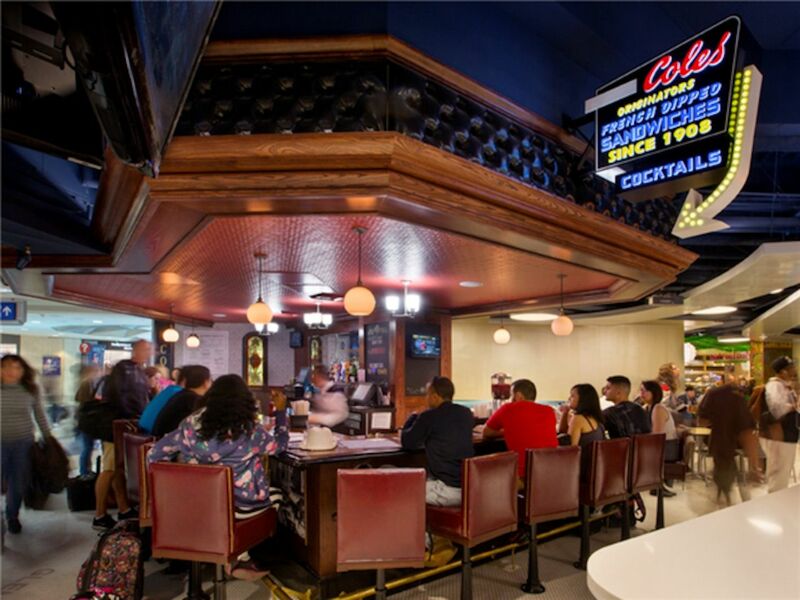 Cassell’s Hamburgers: The original burger joint opened more than half a century ago and was recently transported to the airport. 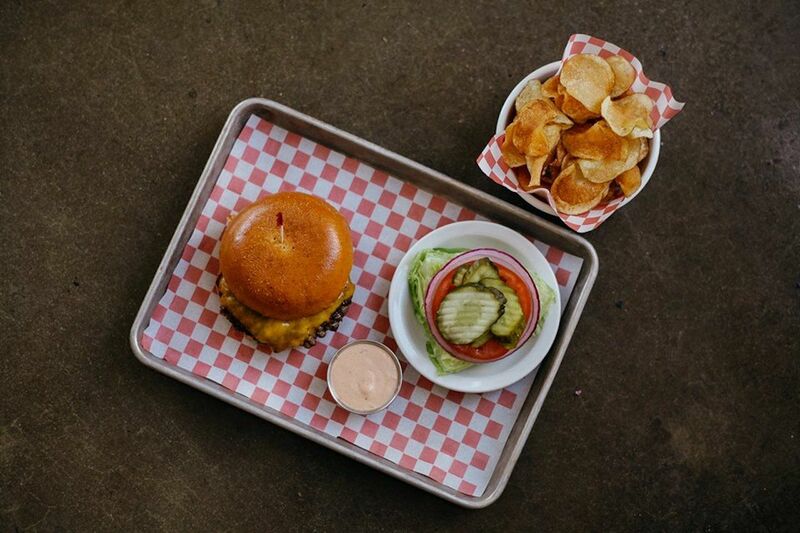 Eating here will take you back to mid-century burger counters with cheeseburgers, patty melts, fries, and milkshakes. Trejo’s Tacos: Part of actor Danny Trejo’s taco shop empire. The airport version is a little pared down but still offers a fair amount of taco, bowl, and burrito options. Steak asada and spicy shrimp are the favorites here. Pei Wei Asian Diner: Quick food on the go that’s fresh and light (depending on what you get, of course). This Americanized Chinese chain restaurant has options like lettuce wraps, chicken teriyaki rice bowls, and lo mein. Rock & Brews Concert Bar and Grill: You’re probably not going to be doing too much rocking and rolling, but you can’t go wrong with a full bar and some craft beer options. There are also plenty of TVs if you’re trying to catch a game before flying out. Also has an outpost in Terminal 5. 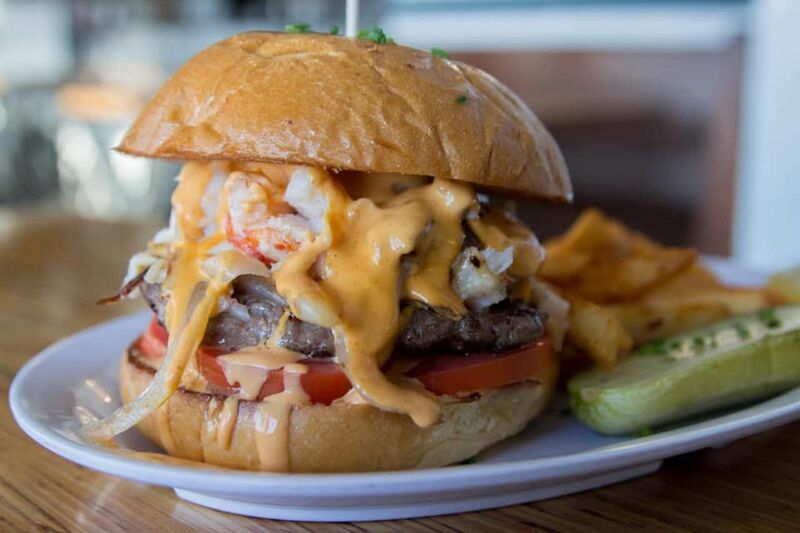 Slapfish: A seafood-focused spot serving breakfast, lunch, and dinner. Nothing says decadent pre-flight breakfast like a lobster, egg, and avocado taco in the morning. Tacos, burritos, sandwiches, and lobster rolls round out the menu. SeaLegs Wine Bar: Don’t let the name confuse you as this is not a seafood restaurant or seafood-focused wine bar. It does have a by-the-glass and by-the-bottle wine list worthy of California wine country, though. The food is on the pricier side, but there are takes you won’t find many other places in the airport like spicy Chianti chicken tacos and chilaquiles. Ashland Hill: The Santa Monica craft beer and wine gastropub serves up drinks and fresh California food like wraps and bowls. Also has a location in Terminal 7. La Familia: Tacos, burritos, and tequila. What more could you want in this life? The Parlor: This is the type of bar where you order a fancy cocktail, not cheap beer. It’s worth it. 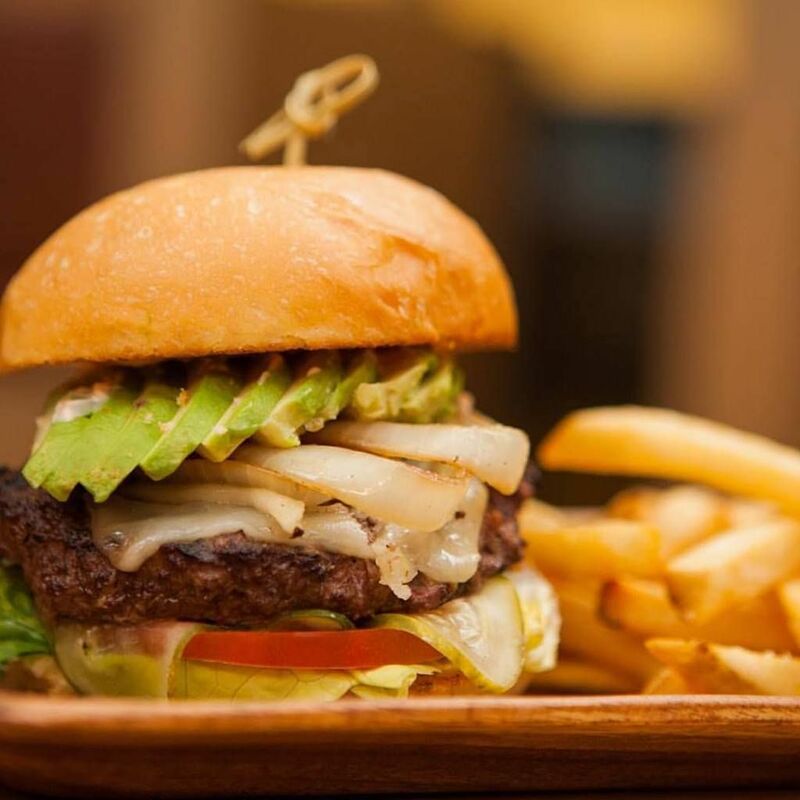 The food is typical, including grilled cheese and burgers and other classic sports bar snacks. Cole’s: Outpost of a restaurant that’s been open in LA since 1908. It claims to be the originator of the French Dip, although that’s more than slightly disputed. Regardless, it’s a great place to eat one. Cole’s is also a solid spot for a cocktail like the signature Old Fashioned. Sammy’s Woodfired Pizza: Personal pizzas and beer that’s above average as airport pies go. There are also standard and classic egg breakfasts. Campanile: A downsized outpost of the La Brea bakery. A little more on the upscale side if you have a long delay or you arrived far too early. Ford’s Filling Station: A scaled-down and airport-appropriate version of the (now closed) gastropub by chef Ben Ford. You’ll find burgers as well as flatbreads, tacos, and off-beat apps like bacon-wrapped dates and smoked pork taquitos. 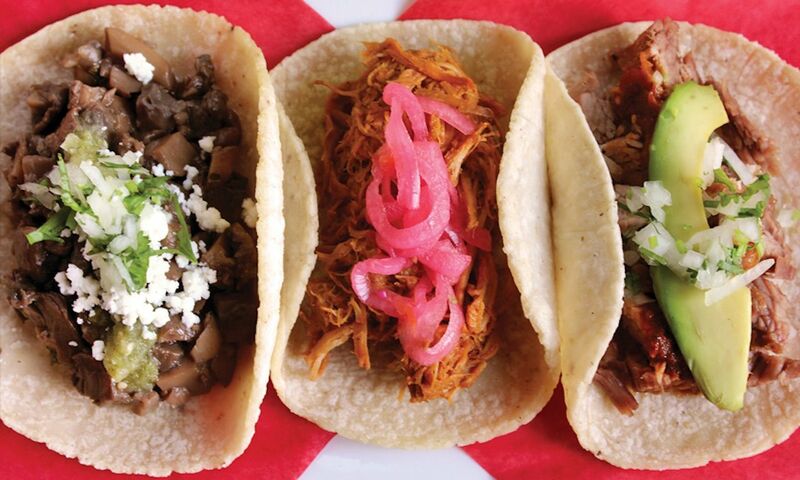 Loteria Grill: A full bar and classic Mexican food from the same team that brought LA’s Farmers Market Loteria Grill. Stop by for a quick Margarita or mezcal cocktail and a burrito. Also has a location in Terminal 7. Skewers by Morimoto: Yakitori stand from Iron Chef star Masaharu Morimoto. Stop by for ramen, a rice bowl, or, you know, skewers and a beer. Rock & Brews Concert Bar and Grill: You’re probably not going to be doing too much rocking and rolling, but you can’t go wrong with a full bar and some craft beer options. There are also plenty of TVs if you’re trying to catch a game before flying out. Also has an outpost in Terminal 1. 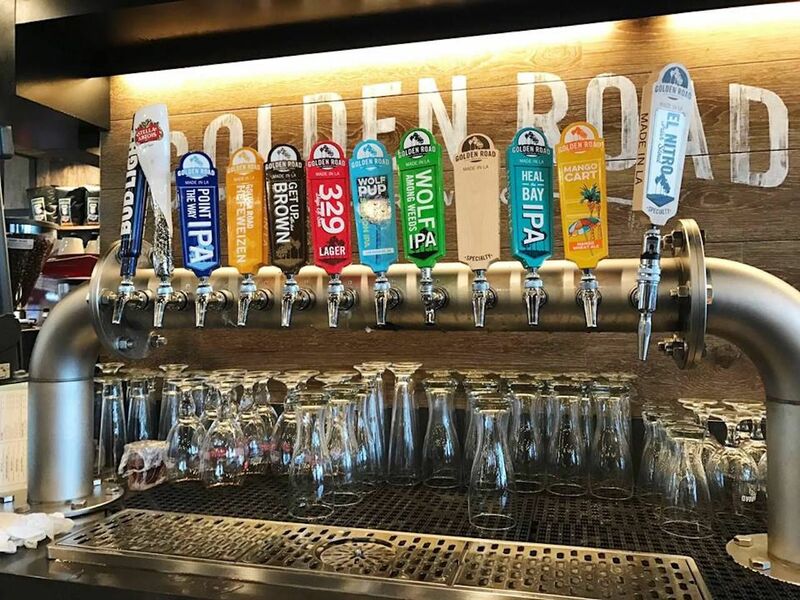 Point the Way Cafe: Gastropub from LA’s own Golden Road Brewery with house-brewed beers and typical California bar food. The Habit: California’s other favorite local burger chain. Get the Teriyaki burger and fries. Wahoo’s Fish Tacos: A quick food stop that serves up chicken, wild-caught fish, and vegetarian tacos. Beer and wine also available. The Wine Bar by Wolfgang Puck: A full-service bar where you go to relax and spend a pretty penny on some nice wine, craft beer, or craft cocktails. Terminal 6 also features The Kitchen and WPizza from the Wolfgang Puck crew. Loteria Grill: A full bar and classic Mexican food from the same team that brought LA’s Farmers Market Loteria Grill. Stop by for a quick Margarita or mezcal cocktail and a burrito. Also has a location in Terminal 5. Ashland Hill: The Santa Monica craft beer and wine gastropub serves up drinks and fresh California food like wraps and bowls. Also has a location in Terminal 3. B Grill by BOA Steakhouse: Say you’ve got some time and your hands and a bunch of money to spend before going back home. If that’s you, then this is your place: steaks, salads, and pasta with a big wine list. Engine Co. No. 28: Basic salads and comfort food. About your only option if you’re looking to stay in Terminal 8 for a drink and anything other than fast food. 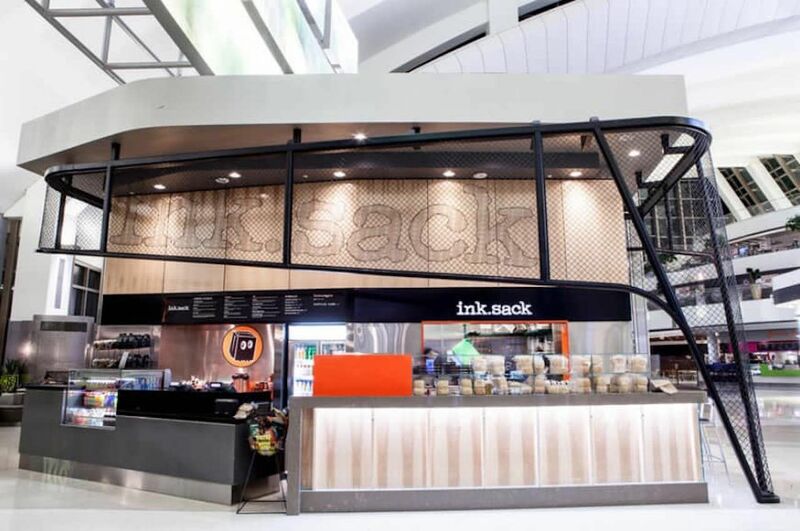 ink.sack: Artisanal sandwich shop with affordable options that’s perfect for quick, good food on the go. The Border Grill: Fresh California Mexican food including tacos, steaks, and tamales. Complete your meal with Sangria or a Margarita. It’s located in the restaurant and shopping section and is nearby pizza from 800 Degrees and other options, so it’s a good spot for the indecisive. Umami Burger: Southern California burger chain offering affordable (for an airport) burgers that will keep you full until you land no matter how long your flight is. Vino Volo: Wine bar chain that’s found in airports around the US. Small plates are available, as well as a hefty by-the-glass wine list. Drink.LA: Craft cocktail bar with a New Age look. Small plates like potstickers available for the hungry.